While nothing will ever compare to the handmade noodles I ate in Japan, these are a close second. 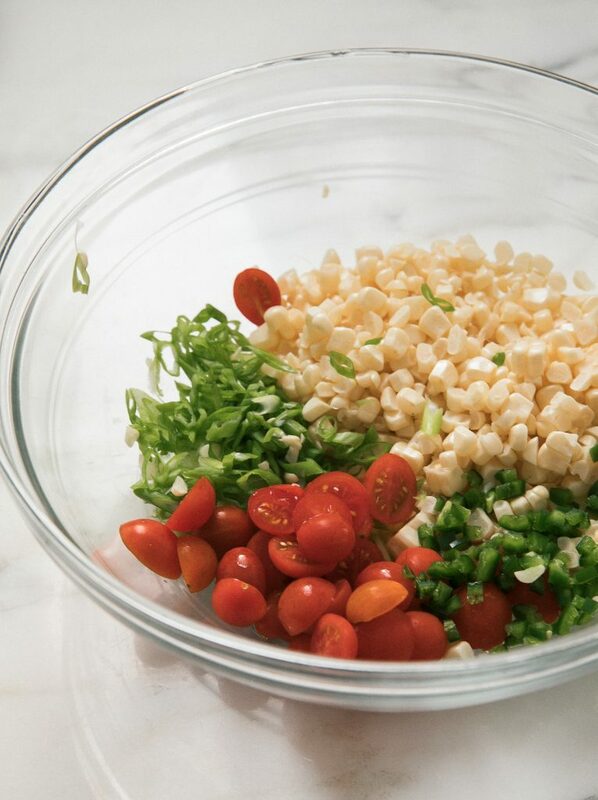 This salad is tossed with a super light sesame-driven dressing, tossed with sliced corn kernels, fresh cherry tomatoes and a few jalapeños for some nice spice. This is the type of salad that is perfect for those hot summer nights that don’t seem to be going anywhere any time soon. To Make the Dressing: To a small bowl, whisk together the sesame oil, lime juice and soy sauce. To Make the Salad: Bring a pot of water to a boil. 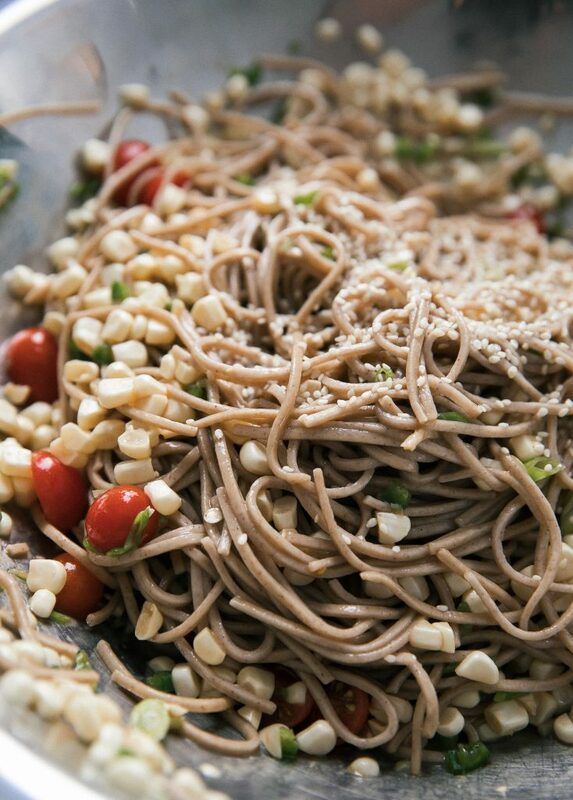 Cook the soba noodles according to the directions. Drain and immediately rinse under cold water to stop the cooking. 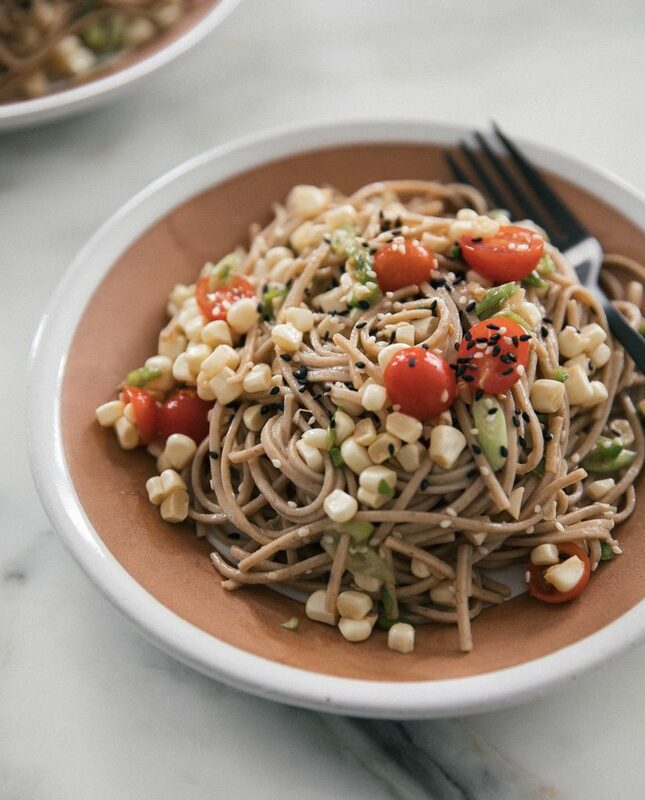 To a large bowl, add the soba noodles, cherry tomatoes, corn kernels, green onions, jalapeño, sesame seeds and the dressing. Divide amongst plates and garnish with sesame seeds.